The late Roy Buchanan established a unique voice with his blazing work on his 1953 Fender Telecaster. In his hands, the Telecaster was rock, country, blues, soul and gospel; transcending genres. 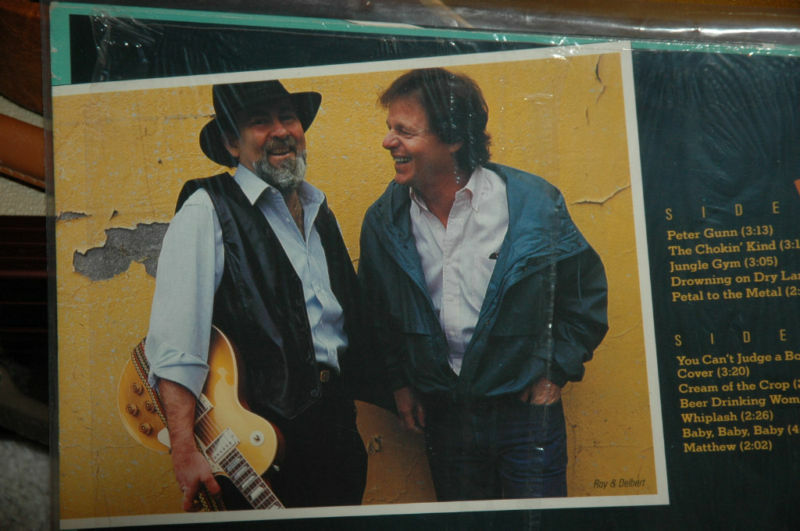 Roy Buchanan pushed the boundaries of the instrument well past its traditional country role. But back to this guitar. 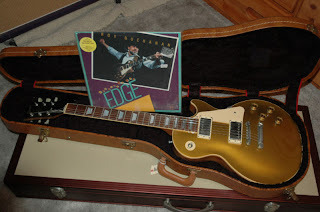 Roy apparently purchased this 1983 Gibson Les Paul 30th Anniversary Gold Top from a music store, recorded with it, and appears with it on the cover of his album Dancing On The Edge. In a Guitar Player magazine interview from August 1985 he had this to say about his Les Paul, "I was in a music store to buy some strings and they had this 30th Anniversary gold-top Les Paul that looked great. I fell in love with it. So I went home, came back and bought it -- right off the rack. In the 60's, the trouble was that they stopped making the model early in the decade, so they were really hard to find. The ones I found were usually beat up. Plus they had these little bitty frets, and now they have big frets. Mine's a Standard with humbucking pickups. I like it because it's entirely different from the Telecaster -- a nice big, fat sound. On the album, I used the Gibson for the fat sound on the rockers." According to the seller, this Gold Top Les Paul was sold by Roy Buchanan's widow after his death to Gil Southworth of Southworth Guitars. Thorough documentation from both Roy's widow and Gil Southworth accompany this guitar -- and it even retains the original strings that Roy installed himself! You can check out the eBay listing for this guitar here. As always, ask the necessary questions and do the research before committing.